Hello guys, Today I am going to be talking about my day at assembly because I wanted to show t you guys how is it like to be in a assembly for school or meetings like other things. 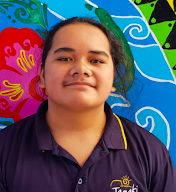 The reason why we were going to the assembly at school is because it was maori language week and Our school wanted to celebrate that by representing what maori language week is like for example, Maori games and more. Some of the things that I know from assembly is that I was able to learn the three songs of maori language. 'Te Aroha' Song, 'Tutira Ma' Song and 'Matariki' Song. The first song that Mrs Kyle (Room 10's teacher) sang that song that we all know because it was my favorite song that I learned when I was little and then we sang the song to show the school values. The song showed Manaakitanga which means Caring for others. What it was like to be in a assembly is that I really enjoyed listening to notices to see what the new things are coming up and also able to give out awards to students.